il kite non ha NESSUNA RIPARAZIONE! Chiamaci per avere un pacchetto personalizzato, saremo felici di farti avere la nostra migliore proposta. 3 AVAILABLE SET UPS AND NUMEROUS TRIMMING OPTIONSThe Vegas is the undisputed king of the C-kites on the market, it’s the most popular freestyle and wakestyle kite and is the choice of many pro riders. With Aaron Hadlow taking two King of the Air titles and riders like Lewis Crathern and Lasse Walker , all using it when the wind gets strong; and the loops get big. The kite has an extremely stiff and stable canopy shape that generates huge amounts of lift and even more pop. The real beauty of the Vegas though is the slack that the kite has after you pop, this allows you to easily throw down new school moves and handle passes. 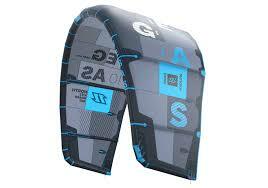 The precise and dynamic handling of this very popular C-kite appeals to a multitude of riders. With 3 set-ups available and numerous trim options, the kite can be tuned exactly how you want it to fly. If you want the best performing C-kite on the market, the choice of champions, accept no substitutes, ride the Vegas!